Sometimes you are lucky and you get inspiration a double dose. This is the story with this LO. I was driving my car and the radio was playing the Beatles song "Baby you can drive my car". I immediately thought about my dear husband who doesn't like me driving his car. 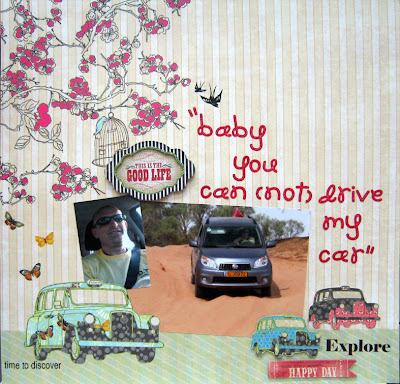 He will let me drive the car, sure, but if something will happen to it…I'm in big trouble, so I would rather not. Then I thought…wouldn't it be really funny to do a LO about it? So I did! Another "My Punch" DT LO and a funny one too! I showed it to my hubby…he really liked it! 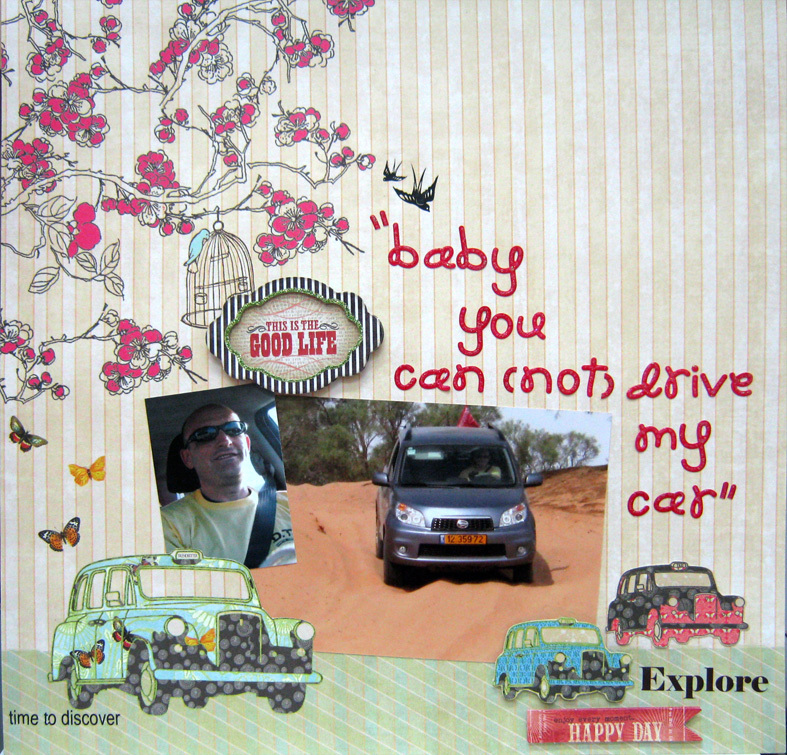 Capturing Humor in your scrapbook LO's is not only fun it's life!